Well it’s been quite an excellent month for wine tasting. Spring releases from all the superstars, along with excellent showings from a number of other wineries. This is certainly the highest-scoring Top 10 list I have ever compiled in a single month. As always, no scores will be published here – they will appear (with full reviews) in a future issue of Wine Enthusiast. 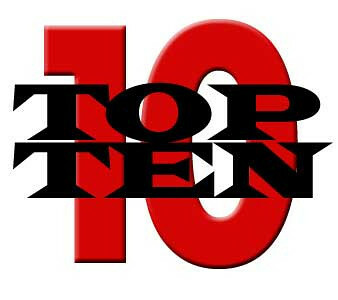 Here are my Top 10 for May, listed in order by score (and price if score is a tie) – but only one wine per winery, so as to include as many different producers as possible. The second release of Figgins, a single wine produced by Leonetti’s Chris Figgins, is astonishing. Tasted in a lineup of exceptional Walla Walla reds, it outshone them all. It’s a sophisticated blend of Cabernet Sauvignon, Petit Verdot and Merlot, from the Figgins vineyard, with gorgeous aromas of flowers, spices and black fruits. A bold, muscular, striking wine with nerves of steel, the 2009 flagship Cabernet from Quilceda Creek offers a dense and demanding array of black fruits, threaded with veins of espresso, smoke, tar, tobacco and iron. It is so dense and bursting with exotic barrel flavors that the fruit seems a bit buried, but time after time these wines unfold over the course of decades into glorious maturity. Again in 2009 this is the best of a very fine lineup from Leonetti. Dense, textural, and complex, it showcases exceptional blending of flavors from the addition of just 7% Merlot, 4% Carmenère and 1% Malbec. Plum, cassis, coffee grounds, dark chocolate and a hint of herb run through a complete and engaging finish, retaining both elegance and power. Seven Hills’ top wine is 57% Cabernet Sauvignon, 21% Petit Verdot, 8% Cab Franc, 7% Malbec and 7% Merlot. A masterpiece of blending, it has myriad pinpoint details, from the nose of flowers and berries, to the mouth-filling mélange of red and black fruits, and finishing highlights of pepper and Asian spices. Killer juice – pomegranate, blueberry, black cherry and cassis – leads into a full-flavored wine that remains concise and perfectly defined. The blend, as always, is 62% Cabernet Sauvignon, 31% Merlot and 7% Cabernet Franc. Concentrated, with earthy depths suggesting Dr. Pepper, espresso and dark chocolate. Dense cherry fruit and roasty-toasty barrel and cracker scents invite a gulp, not a sip. As before, it is sourced entirely from the Conner Lee vineyard, and showcases the winery's signature style mixing black fruits, exotic spices, coffee grounds and dark chocolate. An exceptionally fine-tuned blend with pinpoint fruit flavors, sappy acids and complementary barrel notes. The classic structure – the hallmark of all Betz wines – suggests a long life ahead. Simply astonishing for its price, this toasty, rich wine matches ripe fruit flavors of peach, red apple and light tropical to appealing toasty accents. Thick, juicy, and seductive, it finishes with a lick of butterscotch. Much in the style of Leonetti Cabernet, with the richness of Napa valley fruit, this deeply satisfying, super rich wine is 100% varietal. Three quarters of the fruit came from Champoux, and the rest from Leonetti’s Loess vineyard. Cassis, figs and a hint of prune are swathed in rich flavors of espresso and dark chocolate. This chewy, substantial Cabernet has deep and delicious cassis and berry fruit flavors, accented with sweet, toasty oak. It spent three years in tight grain French barrels, and has the espresso-laden depths to show for it. Great stuff! Congratulations to everyone on this list. Picked up several bottles of the 2010 Rulo chard earlier in May. It is quite amazing. The rest of the Rulo lineup is not too shabby either, and it is all between $15-$25 dollars! Congratulations to Kurt and Vicki at Rulo. Their wine stands out in this group as THE value. Rulo's is also the only white wine... not by intention, just the way the numbers tumbled out. Is the Rulo the Sundance or Birch Creek from the past...Or have they stopped doing those designations? This is what used to be the Birch Creek (I forget why the name is not being used). There is still a Sundance - all stainless - and also quite good.